Six-Guns Gang Showdown by Gameloft is one of the best third person shooter games to hit the Play Store. 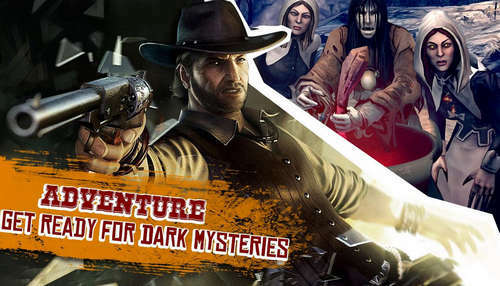 Explore the Wild West in all its notoriety right on your mobile device. The Gang Showdown update hit the Play Store in version 2.7.0, before then the game was a paid one. Now, the game is free to play but you need to use the mod to get unlimited stuff. - It's a full moon, find and take down the big bad werewolf. - The trickster is here bringing some new weapons and costumes. - Earn new multiplayer rewards by being the last man standing. NOTE: ALWAYS play OFFLINE. NO online at 1st time for verification. Install the Apk, copy data folder in Android/Obb and play offline. Why i cant install the apk? i said to play offline all the time!! it's written in red bold font!! next time read the notes below download links! Do I need to uninstall the OBB file or just the APK to get in banned?